There are several different types of metals in the world. Often times our team of experts at Chicago Gold Gallery are asked what the most expensive types of metals are. In this post we will discuss 5 of the most expensive metals in the world and where they come from. Platinum is one of the rarest types of metals in the world. It is about 30 times more rare than gold. Platinum is used in jewelry, applications, weaponry, dentistry, aeronautics, and more. Platinum is found in Russia, South Africa, and Canada. Gold is one of the most common and recognized precious metals in the world. Gold is said to be the most ductile and malleable metal of all precious metals. Gold is the perfect metal for commercial applications and jewelry. Also, gold can be used as a protective coating in many different artificial satellites. Gold is found in South Africa, the United States, China, and Australia. Since its discovery in the early 1800’s, Palladium has been considered equally rare as platinum. 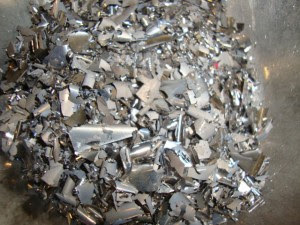 Palladium is used primarily in computer parts and mobile phones. Palladium jewelry is often created with white gold alloys. 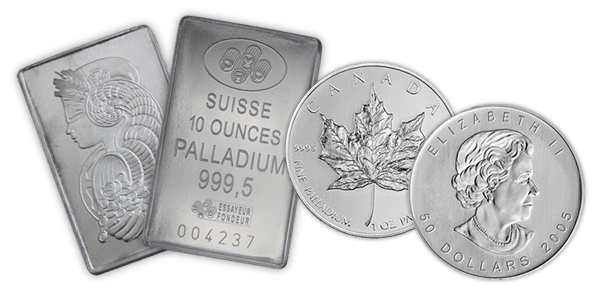 The United States, Canada, and South Africa is where Palladium can be found. Iridium ( approximately $520.00 per troy ounce today) is another precious metal that is sometimes alloyed with platinum to make platinum jewelry 10% Iridium, 90% Platinum. Other uses for Iridium are iridium crucibles in the manufacturing of sapphire crystals, a process requiring temperatures of around 2,000 degrees celsius. For many years prior, iridium had already been used to produce single crystals used in LEDs. Rhodium is used for its reflective properties in objects such as mirrors and searchlights. Rhodium is also used in automotive industry for a wide range of applications. It is a member to the platinum family and is a silvery, hard and durable metal. Silver is plated with rhodium to make it resistant to tarnish. Rhodium is mined in Russia and South Africa. Rhodium is a silver-white metallic element, is highly resistant to corrosion, and is extremely reflective. It is used as a finish for jewelry, mirrors, and search lights. It is also used in electric connections and is alloyed with platinum for aircraft turbine engines. Another use is manufacturing of nitric acid and used in hydrogenation of organic compounds. Rhodium usage is dominated by automotive catalyst applications where it is used together with platinum and palladium to control exhaust emissions.